Category: New. 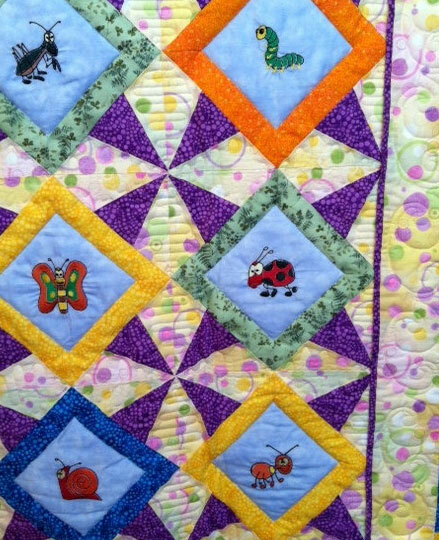 Tags: Baby, Cotton, Wall Hanging. These bugs sure are busy! 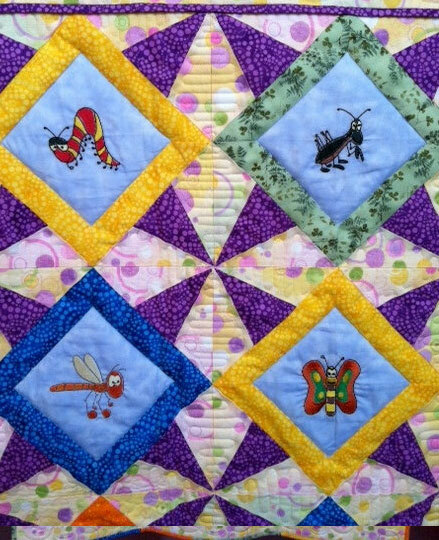 This adorable quilt is bright and fun, with twelve different machine-embroidered bugs. 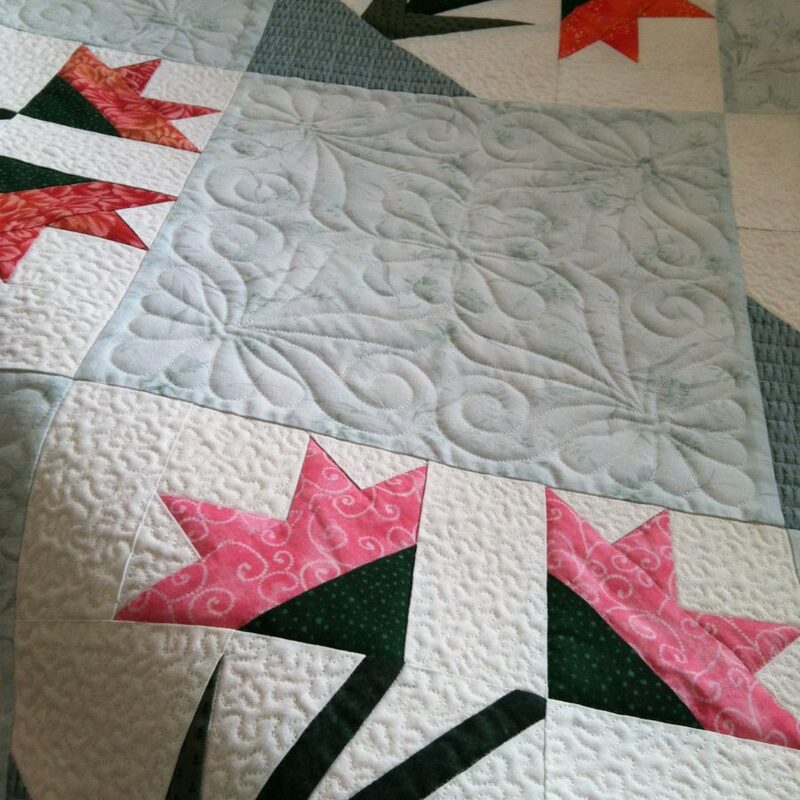 The quilt pattern is Safe Haven, one of Jinny Beyer’s free block patterns from her website. 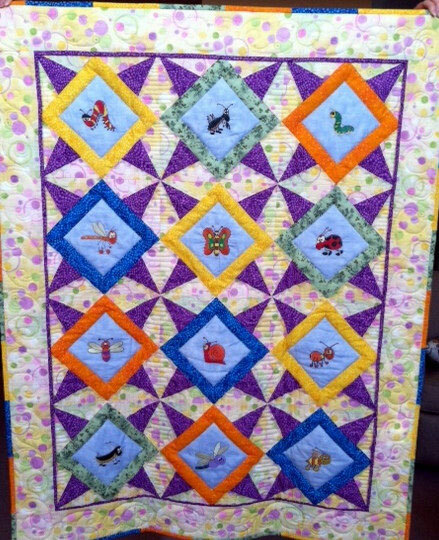 The squares are separated from the border with a purple flange and the binding is pieced with the block fabrics. 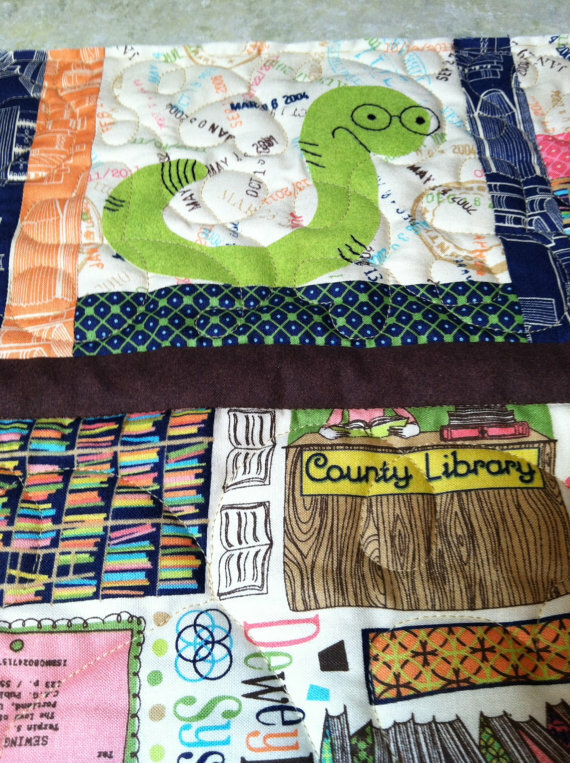 The quilt measures 37″ x 47″ and was machine pieced and custom machine quilted in a smoke-free studio. 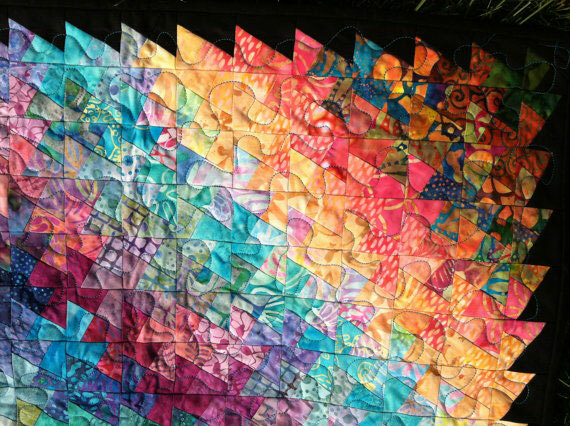 If you intend to hang it, a sleeve will be added by request. 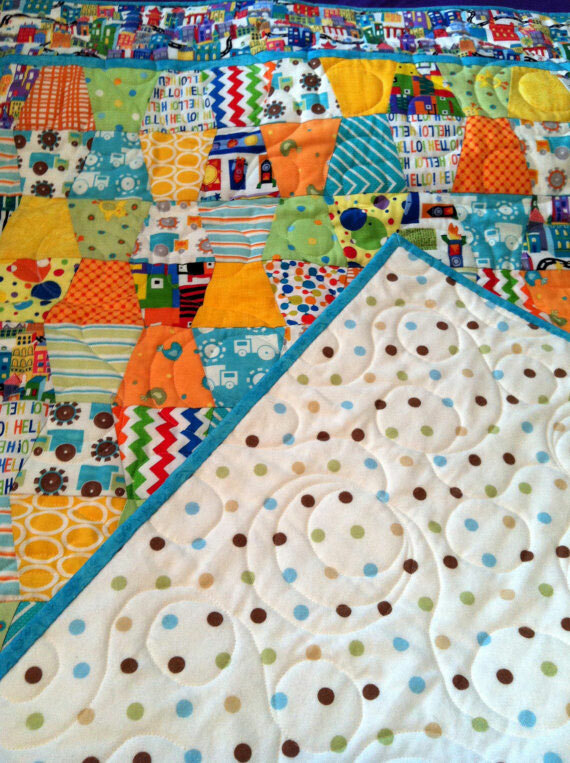 This quilt measures 36″ x 48″ and is made with cotton fabric on the top and cotton flannel on the back–a great baby gift. 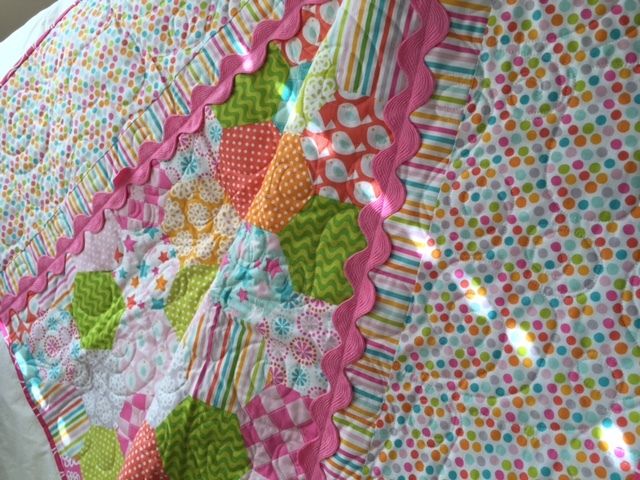 This quilt measures 26″ square, and will brighten up any space. 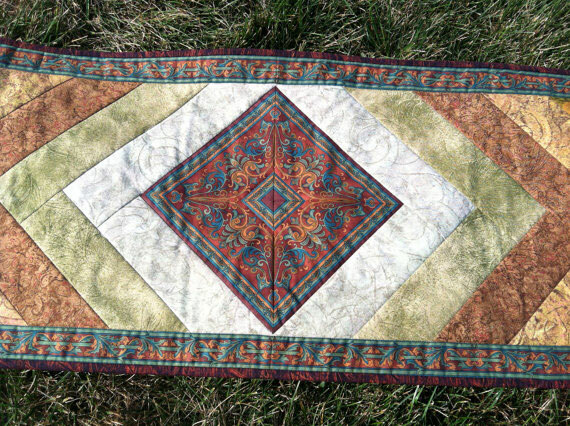 Here is a table runner, that measures approximately 14″ x 66″, using a border fabric to create the center square and the outer trim.